Each Ethereum cold wallet features a unique Ethereum cold storage wallet ID & matching private key QR code, deeply laser-etched directly onto the surface, concealed beneath an industry-leading tamper-resistant holographic film, featuring the Ethereum wallet ID QR code for easy value confirmation and importing into your favorite hot wallet. Advantages of Using Ethereum Coin Wallet: Like other electronic storage device, it doesn’t use any hardware or any hard disk to store wallet information. Wallet ID & private keys are deeply laser etched on the hard metal keeps your cryptocurrency wallet information safe from fire & flood. Simple usability with app Investment grade metals Don’t need to register account. Don’t need to remember passwords Don’t need to remember public key & private key. These offline Ethereum wallet coins keep data secure from hackers. Investment Grade Metal: The physical wallet coins are investment grade coins. They have three values – the value of the wallet embedded on the coin, the value of the metal itself, and the value of the collectible coin, the last two of which remain long after the Ethereum are redeemed from cold storage wallet. 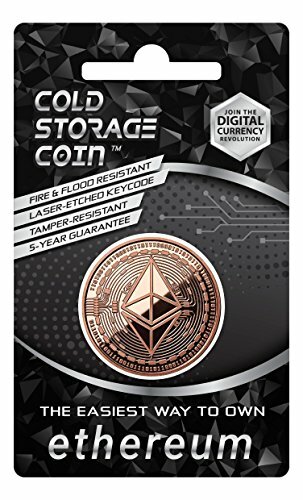 Safeguard Ethereum investment with cold storage coins. Physical Ethereum coin wallet, store all public & private Keys securely on the surface of the hard metal surface using the laser techniques in form of QR code. Put blockchain power on your palm. Makes easier to store & redeem Ethereum. Just need to scan the cold storage coins with your phone to add Ethereum to your wallet. This Ethereum storage device doesn’t require remembering your public key, private key or other passwords. It’s a secure Ethereum wallet and future to keep your currency safe from the hackers. 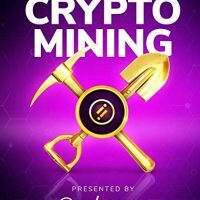 Use unique mobile app to transfer Ethereum to wallet and from wallet.